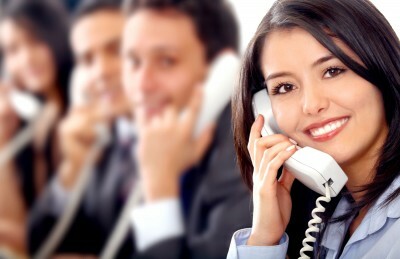 Improve customer service and consequently , productivity is a goal to be pursued constantly. Helpdesk is by definition a support service to the consumers/users , which makes it even more necessary customer feedback to improve the service even more. It is through feedback that the trader is informed about their performance during the service, which includes his conduct and competence to solve the user’s problem . This dialogue is critical to their development . But customers do not always give feedback spontaneously. If not satisfied, many will just look for other companies offering the same service . It is up to the attendant , therefore , request that return periodically, and this applies not only to customers , but also for managers. The feedback makes possible to pass the professional know what is right , what is missing, and if your work is aligned with user expectations and leadership. Remember, the client request must be accompanied by the solution of your problem. Imagine the following situation: the attendant help desk gets a call, and after a few minutes to transfer to another sector or more specifically informs the user that the technician support is on the way to your company to solve the problem. The service does not end when the phone is hanged up. At the end of the day, or in the next morning, call the user and ask how it was served, if he still has doubts and if the problem is completely solved. This type of feedback is important for the user to feel important to the company. A very interesting suggestion is to adjust getting feedback from their helpdesk service processes via automated management software helpdesk. This way you get feedback from your help desk and do not need to stop what you’re doing to require the evaluation of the quality of service .